In 1985, anyone with a passing interest in classical music rediscovered Vladimir Horowitz. Even legitimate followers must have assumed that he was over and done. Coming off a decade of facing addiction and mental illness, he had left eighty behind and looked ready for retirement. He started playing publicly again, clean and sober, and the world fell at his feet. I want to say that Horowitz’s life would have been better if society had been more accepting of homosexuality or if treatment for mental illness and addiction were more available. I wasn’t there, but he comes across as a person who would have been difficult to corral in any way. He was going to be hard on those around him. The truth is that he obtained help during his lifetime. I don’t care how late it came, because the courage to fix yourself deserves attention and praise whenever it happens. In this case, it occurred in the public eye. Let’s consider it given that Horowitz made a connection with his audience in 1985. Many of his older recordings started finding their way onto radio playlists. He topped the charts for a year. 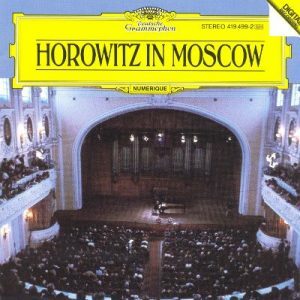 Horowitz was basically Pink Floyd and Michael Jackson rolled into one powerhouse classical pianist. He had been world famous earlier in his life, but nothing in those days compared to the communication tools available in the 80s. Horowitz only had four years to enjoy it all before he died. From the outside, those years look good for him. Perhaps better than most, he was able to enjoy the acclaim and the opportunity to practice his art. I’m tempted to turn all this into a lesson on the temporal nature of fame because that’s what’s supposed to happen here. I have no idea how many people run around thinking about late Horowitz recordings anymore. He’s got a pretty good following on Facebook. Many of his recordings remain available. But do we really dig out Thriller or Dark Side of the Moon all that often? Yet, here’s the thing. For a few minutes back in 1985, a big part of the world paused and listened to an old man play some beautiful music on the piano. A lot of us checked out the local classical radio and dug around in discount bins for the first time because we realized that some of this stuff might be for us. We raised our heads out of our comfortable holes like prairie dogs scouting for nearby sustenance and considered some new possibilities. None of this benefited Horowitz directly, but it did some mighty good for a world that can always have the horizon pushed back a little further. You’ve Got to Check This Out is a blog series about music, words, and all sorts of artistic matters. It started with an explanation. 170 more to go.